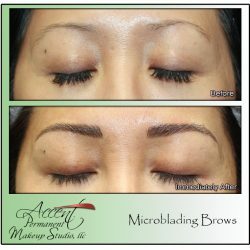 Microblading or Ombre shading of Eyebrows are two Permanent Makeup techniques that can improve the shape, the color, and the fullness of eyebrows. 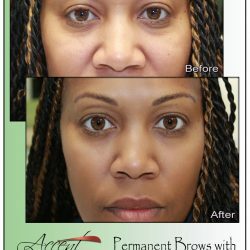 And, since the eyebrows are tattooed, they do not smear or wash off. 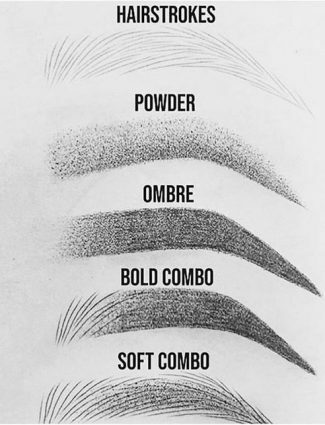 Together, you and Dawn can create your best look, which energizes your expression and makes you feel beautiful! 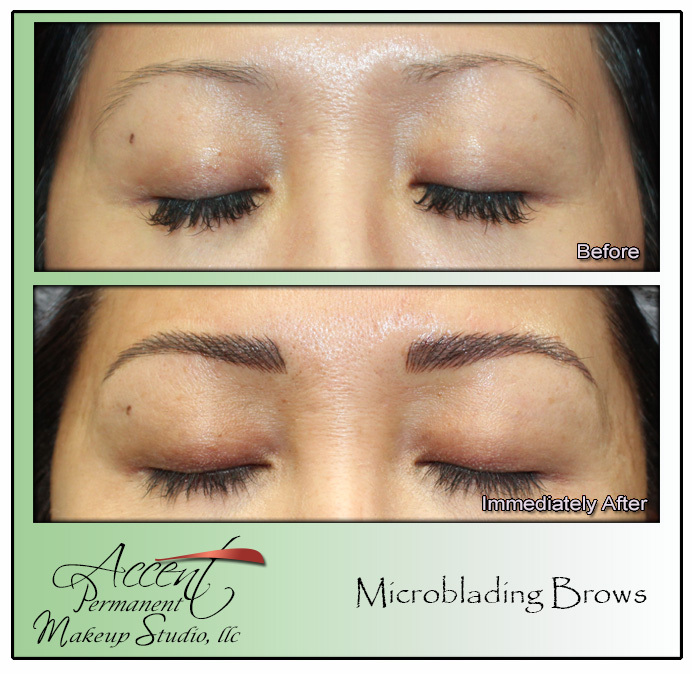 Brow designs should harmonize with the dimensions and curvature of the face. 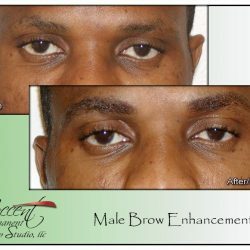 It takes a skilled permanent makeup artist to achieve this, because each face is unique and not entirely symmetric. 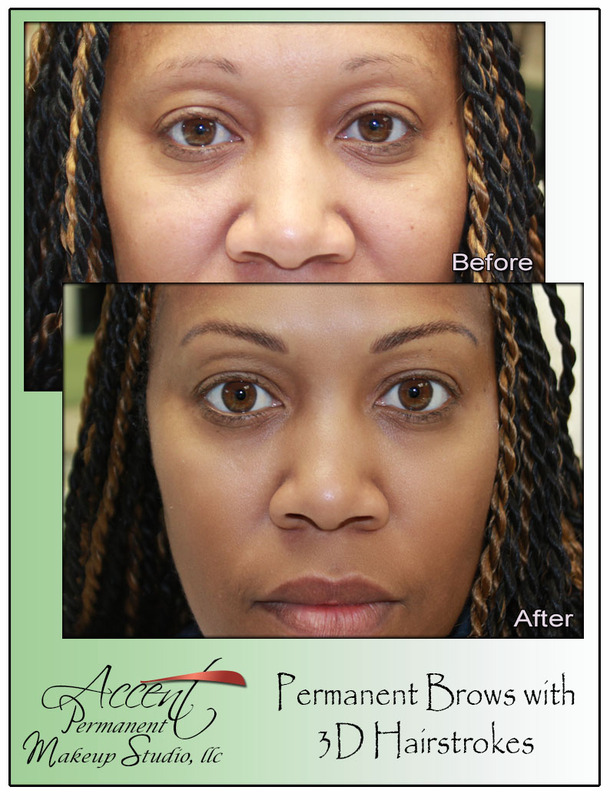 Powder fill, hairstrokes, blending, multiple colors are all achievable with permanent cosmetics at Accent. Visit the link Society of Permanent Cosmetic Professionals Microblading Fact Sheet for more information. 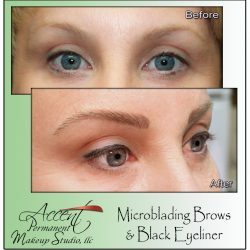 The relatively new technique, Microblading, uses a sloped mutli-needle hand tool, which allows the artist to create hairstrokes with varied length, direction, and fullness. 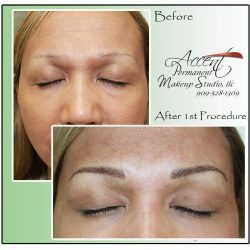 This along with the application of multiple ink colors can create natural, 3-dimensional eyebrows in any style. Microblading requires less healing time than traditional permanent makeup techniques, and the eyebrows lighten and change less during the healing process. 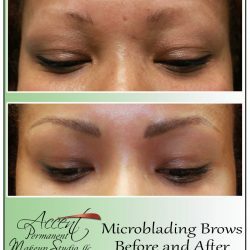 You look natural and beautiful immediately after leaving Accent. 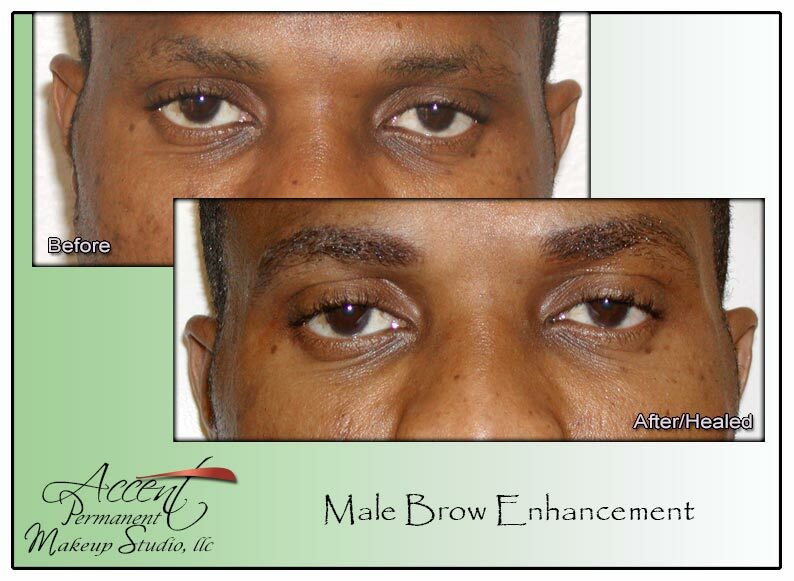 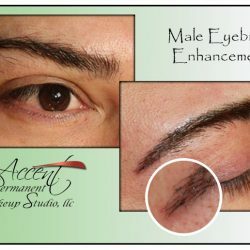 Men can also benefit from eyebrow tattooing with a more youthful and masculine look. 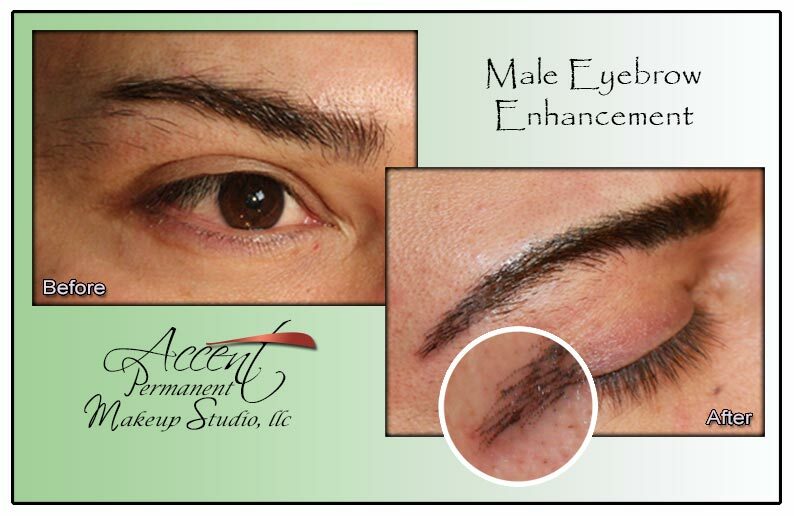 Brows can be made to look naturally fuller by applying a powdery background overlayed with simulated hair stokes. 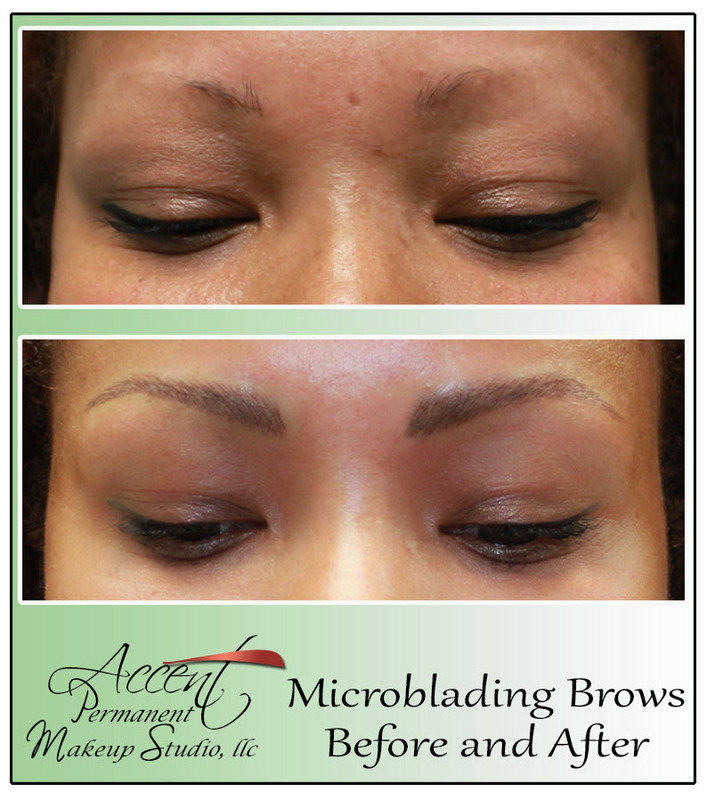 Sparse areas caused by natural hair loss, over tweezing, cancer, alopecia, or trichotillomania can be filled in. 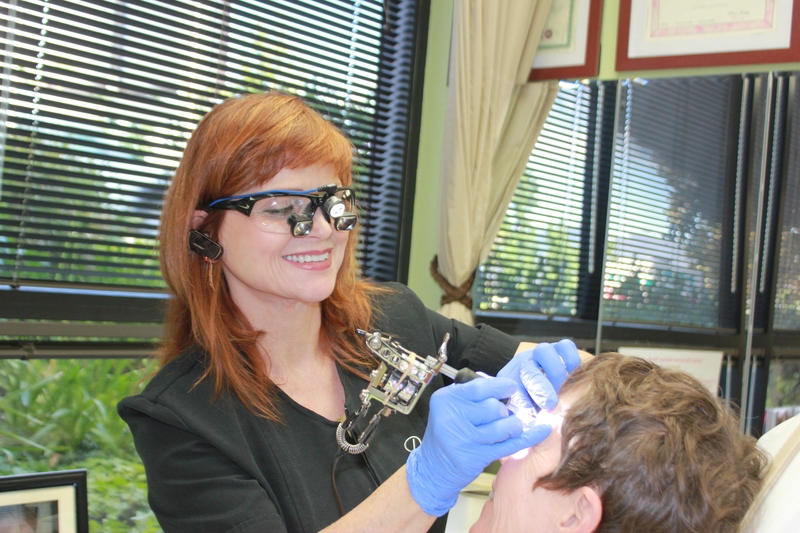 More color in the facial area energizes your appearance, and takes off years! 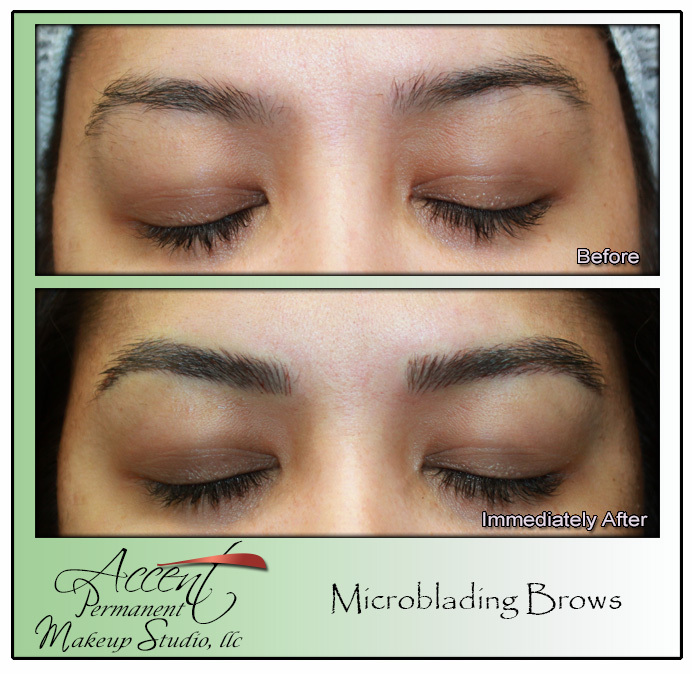 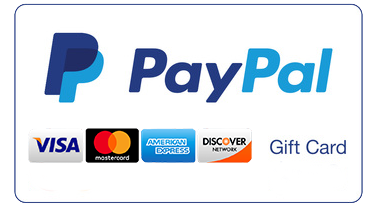 Click HERE for permanent eyebrow and microblading prices.